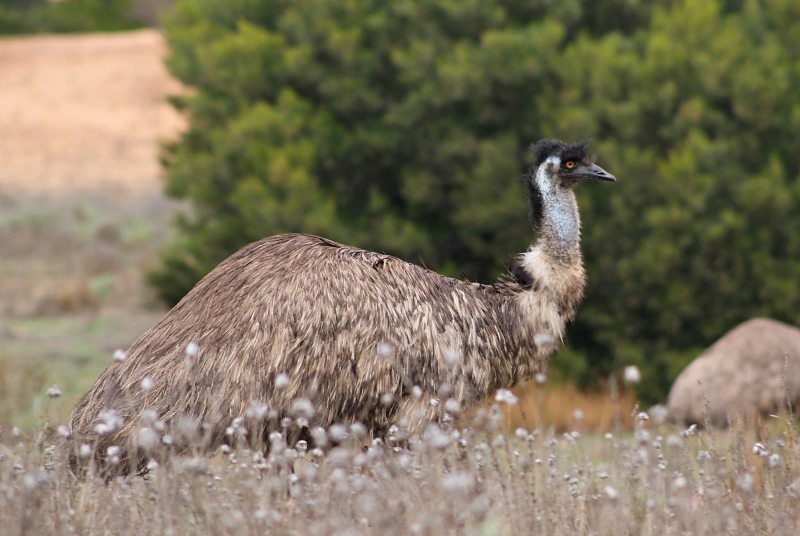 Emus are one of the two casuariiformes in Australia, the other being the Southern Cassowary, and is the tallest native bird at 1.5-2 metres (there are still a few feral Ostriches about which can get up 2.7 metres). They are widespread across the country and common in many areas but can be quite wary of people. At the same time, they are curious and can sometimes become used to people at campgrounds. 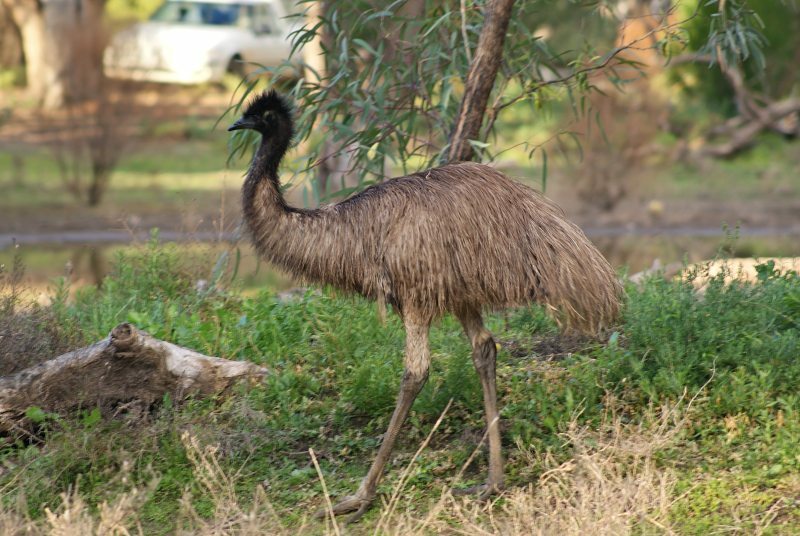 They are nomadic birds, following rain around the semi-arid grasslands of Australia. Adults have blue skin on the neck (top photo) while juveniles have feathered necks with black heads (bottom photo). The chicks are striped black-and-white. They can run at great speed on their long, heavy legs. 1: Hattah-Kulkyne NP, Vic., 05/06/2011.